Joanna and her young son Alfie move to Flinstead, to move out of London, to be near Joanna’s mother. For a better life for Alfie. Joanna is the new mum at the school gate, she needs to make friends. So she mentions something that she has heard….. There is a child killer living in Flinstead. How does Joanna know? It is only a rumour? Then why is she suddenly being followed by someone on Twitter that seems to be adding truth to this rumour? Joanna’s almost off the cuff remark, sets a chain of events that makes everyone doubt everyone else. But is the rumour true? Can a child killer become a reformed adult? Who is really the victim, when the killer released can be given a whole new life and protected? Does the public need to know where these criminals are? What if you are wrongly accused of being that killer? How does that affect a town, a person? So many questions – but does the book have the answers or do we as readers make our own conclusions. 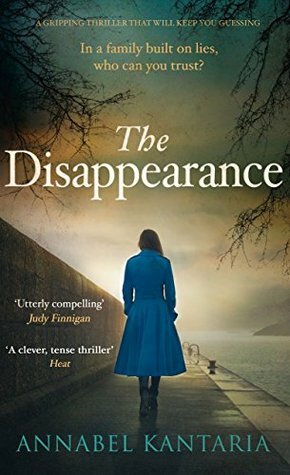 This is an interesting debut novel and difficult to write a review of, because you could perhaps give something away, start a rumour about a possible plot line and outcome and then the books is ruined for all. It has twists and turns and emotions running right through it, that you can feel yourself caught up in the gossip, though I confess I made the correct assumption but still I had to see what happened, I wanted those various questions answered – right up to the final line…….. Thank you to the publisher and netgalley for the opportunity to read this book. This would make an ideal book club read – it raises so many questions. 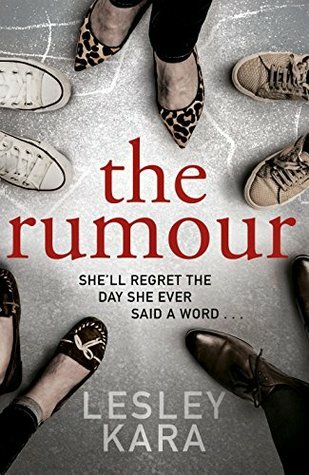 The Rumour is out on 27 December 2018. Rachel at 18 has decided to go back to the home she knows in Kenya. After spending the last 6 years in England away from her father and still very much grieving for her mother, Rachel simply wants to go home. But the home she is going to doesn’t exist anymore. It is 1952, the world is changing. Queen Elizabeth has just come to the throne, and the empire is slowly breaking apart and moving away to be independent. As in Kenya, the Mau Mau are playing a strong role in disturbing the peace and not in a peaceful way. Rachel thinks it is al rumours until she finally reaches her family farm. Her father warned her not to come, maybe because he knew the risks and the danger ahead and maybe because he had not told her about Sara. Sara now lives with Rachel’s father along with her son Harold. Sara makes no secret of her dislike of the natives and how she wants to return to some sort of civilised world. Nor does she hide her dislike of Rachel. Rachel is shocked, the people she grew up with, the cook Jim, her childhood friend Michael are now kept on the periphery of the farm. This is not the world she left behind. This book places you in the centre of the Kenya uprising and shows a small part of what went on with the rise of the Mau Mau. I knew very little about it, the name synonymous with violence and death but little else. This brought to life the magnificence of the African landscape, the desolation, the heat, the vast expanse, peppered with shots of violence, some of it made me want to stop reading the book. But I had to learn more about Rachel’s life and more about a turbulent time in British and Kenyan History. I didn’t know where this book was going to lead me and although I had worked out one of the outcomes for Rachel, I did not predict the rest and it opened my eyes. For fans of Dinah Jefferies or Julia Gregson then this book will appeal to you. Well written and taking a rather difficult and political subject and sparking your interest about it all through the wonder of historical fiction. What more can you ask from a book? Thank you to the publisher and netgalley for the opportunity to read the book. 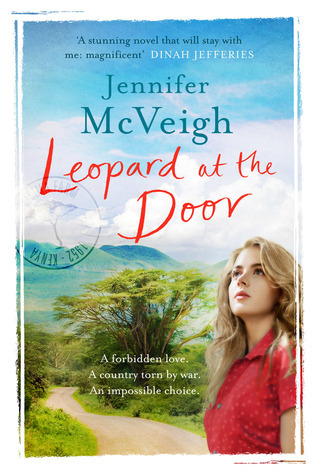 Leopard at the Door is out now. I thought the previous book was the last in this series about the villagers of Little Leyton. It seemed that everything was tidied up and there were no loose ends, of course sometimes you always want to nip back and see what is happening. And this is what Jill Steeples has done with this, her definite last book in the series. Ellie, now finding her feet as a mum, as well as still being the owner of the Dog and Duck and lady of the manor in the big house in the village, which seems to attract everyone. Ellie realises that she wants to spend the rest of her life with Max and that it is the perfect time for them to get married. So with only a few weeks to get everything organised she adds another thing to do to her already full list! But she doesn’t bank on a fire, a mother in law moving in, lost dogs, secrets, accidents and snow! With a lot packed into this book it is obvious that the path to the altar is not going to be straightforward, but has Ellie got the strength? It was lovely to go back and especially spend another Christmas at Little Leyton, it felt like getting caught up again with your favourite characters in a television programme (that perfect Sunday Night Drama). Heartwarming and a simply lovely read, best read as a whole series from the beginning then I think you get a real sense of the place and the people. All of the Dog and Duck series are out now. First of all November was the month where I completed by Goodreads Challenge. I think this is the first time I have done so as early as mid November. Ironically my reading has since slowed down and I have given up on two books, but more of that later. I am quite chuffed but still maintain I won’t change that 100 number for 2019. It seemed to be the month of completing series of books as I did when I picked up Emma Davies – Christmas at the Little Cottage on the Hill. I highly recommend these books and they are great if you fancy a binge read. 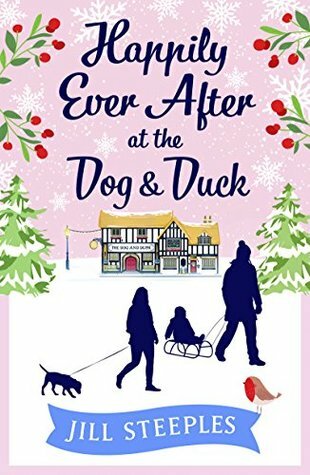 It is always a great when you think a series of books is over and then you get another one Jill Steeples – Happily Ever After at The Dog & Duck does just that and now I think the series is finally over! Again another lovely set of books to read. Of course thanks to netgalley I get to read a lot of books but no matter how many I read on my kindle I still love holding a book in my hands and the chunkier the better. That was the case when I picked off my shelf Michelle Magorian – Impossible. This is the author of Goodnight Mister Tom and through the years I have read many of her other books and they have always been a great delight and capturing reads. This one, not so much but not enough to stop reading her books. Another actual hold in your hand book was Celia Imrie – Sail Away. I have always been sceptical of famous people or ‘celebs’ writing fiction and in some cases it doesn’t always work and in others it does. This falls into the latter (thank goodness) and was a great pick since I went on my first cruise this year. Luckily though none of the things that happened in this book I was aware of on my cruise. But I did miss seeing any of the dancing in the afternoon! Cruising seemed to be a theme when I then unaware picked up Annabel Kantaria – The Disappearance. It had been languishing on my netgalley to read shelf which was the only reason for choosing it. But did she jump or was she pushed? Who, where and why? You will have to read the book to find out for yourself. The classic whodunnit means I alway go back to Agatha Christie and in slow time bid to read all her novels I have ticked another off the list – Agatha Christie – The ABC Murders. This is one of the latest Sarah Phelps adaptations and will be shown over the Christmas period on the BBC. Obviously because Christmas is coming I cracked on with some more Christmas reading with a most recent publication Veronica Henry – Christmas at The Beach Hut. A good festive read on the beach and a return to a place the author has been before. Ironically The Beach Hut was the first of this authors work that I read! 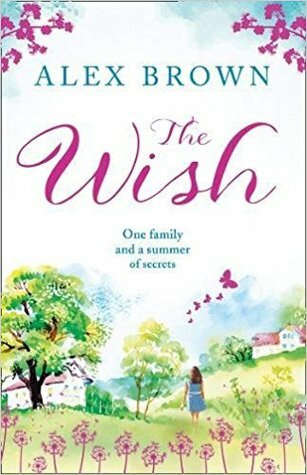 The final book for the month I read was Alex Brown – The Wish another book which has been hanging around on my netgalley shelf and I don’t know why because I enjoy this authors work. Sometimes you can have just too many books to read and not enough time. I am currently reading a book I knew nothing about – The Truth About the Harry Querbert Affair which has got me gripped but I have been so busy with birthdays, nights out, work that the reading and the knitting has taken a bit of a back seat. Whether it is because I have been busy or tired but there were two books which just did not do it for me. The Last Romeo – Justin Myers and The Year of Surprising Acts of Kindness – Laura Kemp. We should probably give up on more books than we do as there are so many more out there to read. So that’s November and here we are in December and I need some more Christmas reading to get me in the spirit after a whole weekend of Christmas decorating at work.